The Pioneer Woman: selling a fake image of domestic bliss? This essay, by Austin-based writer Melanie Haupt, is one of the most interesting things I’ve read in the past few months. Haupt, who wrote her dissertation on women and food writing, takes on the blogging phenomenon known as The Pioneer Woman (if you aren’t familiar, here’s the quick n’ dirty background: Ree Drummond, AKA The Pioneer Woman, had a go-go city girl life in LA before moving to Oklahoma, marrying a cattle rancher, and becoming a “domestic country wife” raising (and homeschooling) four kids in the middle o’ nowhere. By blogging charmingly about her daily life, she’s becoming one of the most popular and highest paid bloggers in the world, raking in something like $1 million in ad dollars a month and earning several book deals and a Hollywood biopic). I think Haupt is getting at the heart of why lifestyle blogging can be so problematic – it blurs the line between reality and fantasy, “ordinary woman” and professional lifestyle guru. Nobody really aspires to be Martha Stewart because we all know she’s basically a product. But these lifestyle bloggers sell themselves as real people – after all, blogging is the official medium of ordinary people – so it’s hard not to compare yourself to them and wonder why your living room doesn’t look nearly as good and why don’t find making dinner nearly as fulfilling. But women like The Pioneer Woman actually ARE pros, but they don’t necessarily admit it. It sort of raises the bar for ordinary women, while potentially re-romanticizing domesticity in an unrealistic and unhelpful way. What do you think? Any Pioneer Woman fans/haters out there? 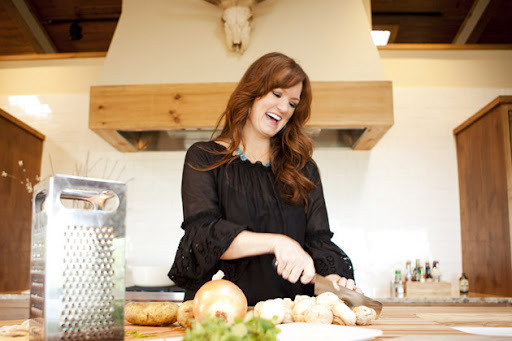 23 comments to The Pioneer Woman: selling a fake image of domestic bliss? I don’t know, Emily – personally, it doesn’t strike me as unrealistic at all, the image as the PW presents, especially as she injects a fair amount of her daily strife into her blog as well – like, what a pain it is to wash the dishes and wake up at 4 am. I personally don’t find it unrealistic since, myself, I find great fulfillment in raising kids, cooking meals so we can have something both nutritious, made with quality ingredients, and utterly delightful on a regular basis while living in the boonies, and, like Ree, I see quite clearly that my husband is a rare gem. It’s a real phenomenon, and being able to view your life as such is the matter of perspective and attitude. It’s also, in my opinion, not out there to serve as a standard for imitation, and thinking otherwise just points to the reader’s own insecurities, lack of certainty in one’s vision of life, and lack of confidence in one’s choices. If someone is comfortable in the role of a childless professional 30-something then why feel bad when looking at Ree Drummond presenting the opposite model? I do think that, rather than having the line b/w the reality and fantasy blurred, for her the line b/w being a business woman and an earnest woman blogging about life is blurred, but any blog reader should understand that, that’s how all better-read blogs are. Blogs are only as helpful or harmful as one allows them to be. If someone is unhappy with their own life, searching the internet for a phantasy can be a relief or an obsession. Well, I was about to say that I agree with Sofya on this one, but then I glanced at PW’s blog and it does seem like an artificially happy website. I think she probably does enjoy her life, but I think you’re right that her blog persona is more Betty Crocker than reality. Maybe I’m reading too much into your website, but are you trying to answer the same question I had–Can housewives really be happy? It seems to me you’re trying to find evidence that happiness in domesticity is fake (which is certainly something I believed before becoming a mother) and that people who embrace domesticity have fallen away from feminist ideas. On a general note, it could be that the media is so interested in this persona of a homemaker simply because it’s different from what’s been normal for the past 30 years. For example, I heard Sandra Day O’Connor speak at BYU and she said that after she earned her law degree, whenever she applied to a firm, they kept trying to give her a secretary position. The fact that she became a lawyer at all, let alone a justice of the supreme court, is a great story. Now women become lawyers all the time. But to hear about a woman choosing to be a housewife when she could have been a lawyer–that is just fascinating to people. Maren – I love how different people have such different takes on PW. She’s got gazillions of incredibly loyal fans, but tons of absolutely rabid haters (there are several blogs devoted solely to talking about how much the bloggers hate her guts). She’s such a polarizing figure, I think, because she represents this 1950s super-housewife image that people find alternately threatening and appealing. I wouldn’t say I’m trying to ask whether housewives can ever be happy (I definitely think people are happy in a huge variety of work/domestic situations); I’m more interested in looking at what it says about our current moment in history that so many women are interested in learning old-fashioned domestic skills and focusing on home-related stuff more than ever. I think it has something to do with the economy, for sure, and also with environmentalism and a certain fed-up-ness with corporate culture. I totally agree with your take on the lawyer-turned-housewife thing – people love to read those stories because they feel kind of subversive. Another point that I didn’t make in the essay linked above is that PW, in conjunction with her domesticity narrative, has this parallel narrative of consumption (of consumer goods). This can be seen in her iPad and Wusthof and KitchenAid giveaways, as well as her product recommendations. That parallel narrative of “Buy this! Buy this! Oh, and THIS!” sort of undermines the narrative of hyperindependent DIY domesticity (with no small help from packaged food). I don’t really agree with the article or how PW is interpreted. But that’s the beauty of interpretation, we all have our own. I stumbled upon the PW blog about a year and a half ago and have been reading it on and off since. I do go there occasionally for recipes and photo advice and do read the “confessions” area. It is entertaining. As for her “commercialism” or not being “real” enough…. meh. I don’t care. We all buy stuff and I definitely don’t begrudge any blogger talking about what they like or what they’d recommend. Why would I? And as for success… Shouldn’t we celebrate a successful woman? If I could figure out how she accomplished what she did, I’d do that too. But she is the one who managed to make a ton of money talking about her life, so I applaud her. Good for her! And if her marriage is intact and she loves her husband and her husband is rugged and manly… so what? Good for them! Finally, en example of a family unit that’s intact and working. When’s the last time you saw an intact family on TV or where the husband isn’t a bumbling, emasculated, woosified idiot who can’t make a decision to save his life? I stopped watching “family” shows ’cause of that. As a single woman in my early 30s, I find it wildly disheartening that a guy is isn’t a man; that I’m more of a “man” than the guy. The thing that strikes me is that people seem to dislike her because she’s a stay-at-home mom, homeschools her kids, cooks her meals… because she’s a housewife. Well, isn’t that her choice? So if it’s her choice, why are other people so up in arms over that? Is it because it’s not the choice they would have made or already made? And so what if it is a little idealized and less “real”, or less “perfect”? Maybe she finally sends out her laundry, now that she’s making millions…. I would. That would certainly lower my level of stress. And what’s wrong with a “happy” site? Maybe she is happier? Maybe she’s just a really good businesswoman who knows what resonates with her readers and omits some of the less-perfect aspects of her life and plays up the self-deprecating and more pleasant aspects of her life? It’s just good business and I don’t understand why people vilify her for that. But I’m starting to ramble and I have 50+ pounds of tomatoes waiting to be canned or turned into tomato sauce. I like reading Ree’s site, I own her cookbook and waited in line for over an hour to meet her at a book signing in New York a couple years ago, so I’m probably biased here. Generally, I don’t really mind if her site is not showing you the full picture of ranch life, but I don’t assume that her life is as picture perfect as her site conveys. (Anyone who doesn’t think she has a staff is kidding themselves.) That said, I clicked through from this essay back to some of her 2006 posts and they were definitely way more “real” and interesting in a different sort of way than her content these days. The only thing of hers that’s ever really gotten under my skin is the use of the word retarded to describe her brother Mike. I’m not sure when it stopped, but it used to be that every post where he was mentioned, he’d be introduced as “my retarded brother.” But at some point in the last couple of years, since the book deals, I’m sure, she has edited past posts and replaced the term with the more PC “developmentally disabled.” No that I’d prefer she keep using that word, but it makes you wonder what else has been scrubbed clean. I think Pioneer Woman is about as authentic as Cool Whip is to real whipped cream. Ree-diculous. I’d like to hear from some real female ranchers. Thanks for sharing your insights. Ree Drummond has the education and credentials to back whatever she chooses to do. She works hard on that blog, and there’s not a phony bone in her body. If you want to expose someone as being a fake, try Paula Deen or Kate Gosselin. What’s the point of hating someone? Every couple has their problems and anyone who has children has problems with their children from time to time. Nobody wants to read that. I’m sure the readers know that no marriage is perfect, but people want to read about positive things, they want to escape and she provides that. I don’t see what’s wrong with that. The people that hate her really need to get a life and do something positive with their lives. No life is perfect but she seems to lead a good one. After realizing who she is married to, I too view her “down home country” girl persona in a very different light. I realize she only claims to have become a country girl by marriage, but I’m sure few of her fans realize that the Drummond family are millionaires. And it would appear from this recent article from the Tulsa World, they conduct themselves as “privileged”. Wouldn’t be nice if we all could be happy with what we like to do. 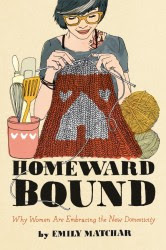 I’ve worked full-time and been a full-time homemaker…….if it makes people happy to just see and read about her life…why not? I’m always happy to hear a person is doing well in the world and not hurting anyone! I would muchrather follow someone like PW than the kardashsians who get pimped by there mother as Maadam that really add no value or morals to what they do. I personally find PW as pretensious and phony. Her cooking skills are little better than any woman having cooked for her family. She was born and raised in OK and it isn’t as though she was Paris Hilton before marrying and moving back to OK and turning herself into the PW. Those that enjoy her fantasy and buy the wares she hawks are welcome to her. I think I abhore her so much because she publishes other people’s recipes, or old and popular recipes as her own and then acts as though she single-handedly made them up. Then, people oooh and ahhh over them. Plus, people are so blinded by her. It’s almost like a cult the way people worship at her feet. She put out a very average cookbook without one original recipe in it and made money off it and her invented persona. It’s annoying and makes me hate the hell out of her. I only recently became aware of the “hate” toward PW. I found her site about six months ago and have really enjoyed it. I watch her FN show and see the struggles. I have heard interviews with other FN stars who took more than a few shows to not be stiff and weird. I don’t hold that against her. My tongue would swell to the size of a cantaloupe if I ever had to try and do that. 7. I think her desire to share “Domestic Goddess” bliss still creates havoc in many women. As far as we have come I think as women we still struggle with our place in society and home. So it hits on a raw nerve for a lot of women who aren’t secure in what they have decided or have been forced to decide to do with their lives. Having children and deciding to have a career is a real struggle for a lot of women. And along comes this woman with a career, home schools, bakes the bread, tends the cows…..Of course it will hit a nerve. 9.I like her recipes and I like the beauty of the life she shares. Good for her. Would I if I could? You bet. There will always be people with deep emotional issues and when you share your life you open yourself up to some very unbalanced and scary people. She knows that. 10. I don’t think there is anything phony about her. I just think she has had to add on to the help she receives to keep the wheels of her growing empire turning. “So what! People really need to find something important to hate other than a little woman on a sprawling ranch in Oklahoma. I can’t believe the energy spent hating her. These people really must not have any lives, so they spend their time picking on what someone else has built. I like the real life/and the fantasy she shares. It is right up my ally. I’m not blind to the truth or ignorant of what she is all about. It’s entertainment folks with some good recipes thrown in to boot. I don’t think Ree tends the cows, and therein lies my rub with her. I am a ranch wife. I also blog, am a photographer and I actually do come up with original recipes that I share when I have time. My cowboy is third generation on his ranch. Ree and her MM are fifth. They have oil and gas money, as well as millions in ag subsidies from the good ol’ US of A. What a lot of folks don’t realize is that that most ranchers aren’t wealthy, they’re not nearly as well-off as the Drummond Family. I don’t begrudge them that. What gets me is how she portrays ranch women. I will get down in the mud and snow to help pull a calf, I will ride all day, and then come in at dark and still cook supper. I don’t stay inside, make amazing food and take it to the family. I suppose that option is there for me should I want it. But I don’t want it. I want to be involved and most women on ranches that I know are involved a LOT more than she is. And we don’t get to cook on Viking ranges. Do a lot of ranch women garden? Yes. Are they handy in the kitchen? Yes. Do they live more in the middle of nowhere than her? You BET. She’s 25 miles from the grocery store. I’m a 20 mile round trip from my mailbox and nearly 80 from a Walmart (one-way) and 55 one way from a decent grocery store. I tire just thinking of the way she has mislead the public as to what ranch life is all about (for most of us anyway). I think a lot of people are annoyed with Pioneer Woman’s “aw shucks, I’m just a little old country wife” persona, knowing she’s a millionaire. I think it’s OK, as long as people know that what they’re getting is more like reality TV than someone’s personal diary. I don’t know. It seems to me to be possible BS. Did you ever see the way her husband looks like he wants to run in front of a steer every time he is on camera. There is NO NO NO chemistry between them. Before I had read some of the multitudinous blogs AGAINST Ree Drummond, I had been innocent like Eve in the garden of Eden. Mesmerized by and jealous of her life. My husband is wonderful. Not ambitious like hers. Not wealthy like hers I now come to find out. But a great guy. But we struggle financially. So there I was before I read stuff. By turns envious and wistful – wishing my life was like hers. And then, jealous and disliking her for having such a wonderful and seemingly perfect existence. Then I bit the apple. And so now, I doubt. Really. How can someone do all she does without maids, nannys, HELP, and lots of it. And then I bit again and found that she came from millionaires and married one. In her book about Ladd, she states when they met he had financial problems, and downplayed her monied background. Hence, I ignorantly thought, “…oh, look they finally made it due to his diligence with the ranch and her’s with her work. Bull crap. They were loaded. Financial problems to them are losing $50K from one of 25 stock porfolios they recover within days. Stupid, stupid me. And those kids. The girls are like cowed and robotic. What’s that about with a mother like Ree? Does she overwhelm them so much with her large personality they just gave up? The boys seem normal. Her husband looks like he is permanently stern or quietly disgusted except to say, “…good cooking, honey”, once in a while. Ladd’s father is a millionaire many, many, many, many times over. And the boys got the benefits, just waking up in the morning. So, I may still watch the show – but kinda like watching with an eye to the Bull crap. It makes me slightly sad to realize that Ree is not real. Just Hollywood again. Just Hollywood. Ah, well…. Woah that weblog is usually great i really like examining the articles you write. Keep inside the excellent art! You recognize, numerous people want close to just for this facts, you’ll be able to support them greatly.